Ciao my blogging friends Kathleen here, good to see you again. Well, well, here we are again, another week of just me and you. Shall we get started on a fresh week of finds on the world wide web? Round two of guest blogging, here we come…. Some background information on why this first find is so dear to me. As of late I haven’t been the biggest fan of relationships, let alone marriage. I know it’s a silly and horrible thing to say but alas it’s how I feel. Now without getting to deep (I mean we’ve only known each other a little under 2 weeks, right?! ), let me explain. I see so many marriages on a daily basis that discourage me from ever wanting to be stuck together with someone for life. I tend to focus on those negatives relationships rather than the positives ones all around me. I mean I have a whole group of friends whose marriages are filled with love and God centered afterall. I found this picture whilst browsing stylemepretty.com. It was used as a sort of wedding guest book/theme throughout the event which was a brilliant idea! 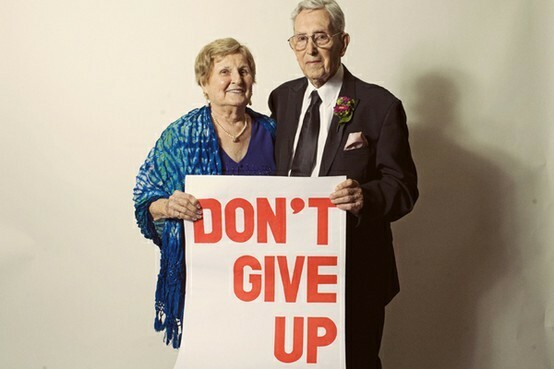 This picture is great because it’s a personal reminder that although marriage won’t be easy it is well worth it, just don’t give up. 2. Chocolate Chips Gone Wild! Hello, my name is Kathleen, and I’m a bake-a-holic. I love, love, love to bake. Recipes are probably among the top 5 things I seek out regularly. There is just something about watching something you’ve made from scratch come to life. I always feel a sense of accomplishment when I not only make something delicious, but when those who are eating my creation love it as well. That being said take a look at these wondrous items. 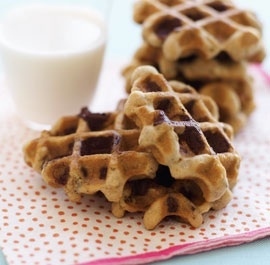 They are chocolate chip cookies made using a waffle iron. I think I just died from sheer happiness. Now all I need is waffle maker and we’re in business. Find the recipe here! Shoes have a hold on me. I can be walking through a store dead set on not a purchasing a thing and yet I’ll some how end up with a pair of shoes as I’m walking out the door. They’re my kryptonite, and I aint mad at it! 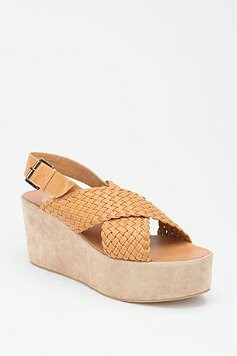 I love these wedges from UrbanOutfitters for a couple of reasons. 1) They’re stupidly cute and unique 2) They’re reminiscent of a certain era 3) AND they’re comfy! Hopefully within the month these babies will be on my feet while I dance the night away at a friend’s July wedding. Finger’s crossed! I love these free set of tags because after a few times of writing To:_____ From:_____ on a lovely gift to someone it can become monotonous and borrrringgg. To spice it up and to add a punch to your package download these free tags and slap it on that parcel. 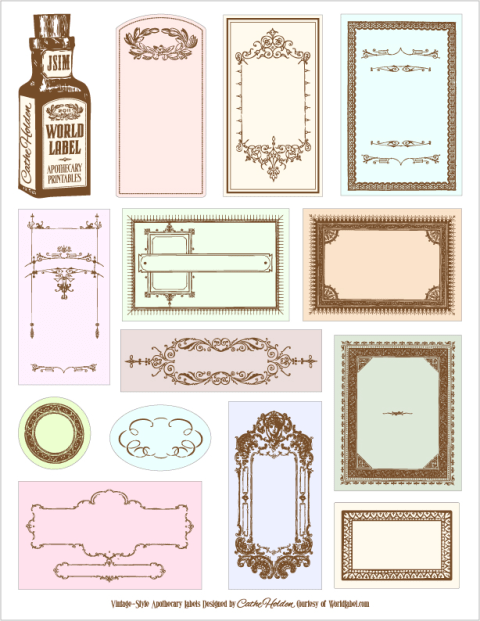 It will instantly add some class to that gift and some artistic cred to your name! Find them here. 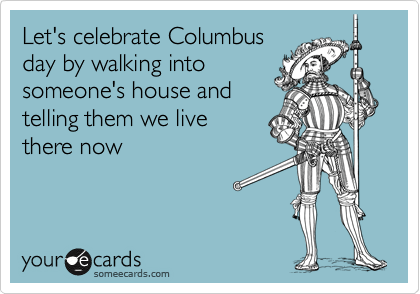 I understand that Columbus Day isn’t exactly around the corner, but I couldn’t help but share this hilarious blurb. Yes, thank you Mr. Columbus for sailing the ocean blue in 1492 but let’s be honest here you kind of took someone else’s land in the process. I won’t judge you for it, but I will laugh at the honesty presented in this comic. You can find the ecard here, ready for sending! Love your posts Kathleen! So fun!